Written and delivered by the Academy students, hosted by Artistic Director Erin Freeman. A transferable ticket which may be used at any single morning or Saturday seminar during the 2016 Festival. The Seminar Package includes five tickets that can be used for any of our seminars. The five tickets may be shared among multiple users. Individual seminars are priced at $15. Working with Composition Academy faculty and students, try your hand at composing. Maybe you’ll be the next Bach, Haydn, or even Hagen! From the VMFA: Enter the world of music in art! This visual presentation delves into the unique depictions of musicians, instruments, notes and musical ephemera in a variety of works and media. From Picasso’s framed collages to Man Rays iconic photographs, the audio has greatly influenced the visual in 20th century 2-D and 3-D works of art. Composing is about much more than just picking notes that sound good together. It is the art of musical color that requires an in-depth knowledge of how each instrument works and how to make it sound its best. 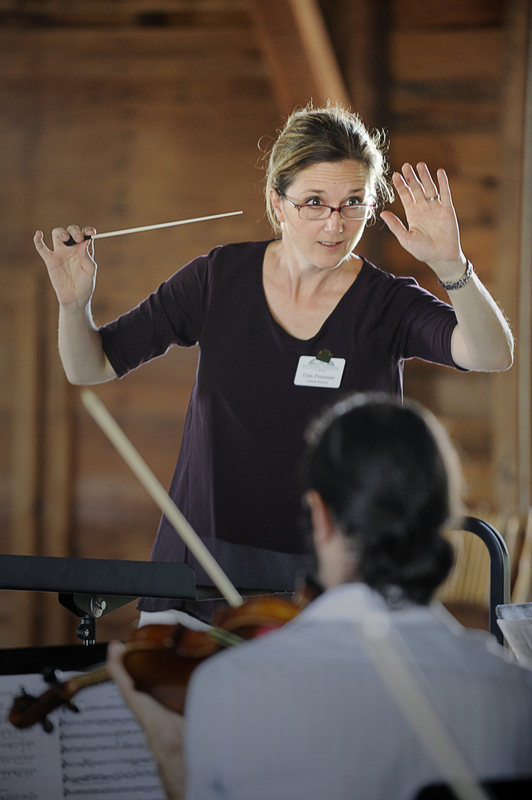 Sharan Leventhal will work with our Academy composers, demonstrating extended techniques and offering technical and musical advice. How does the composer make the woodwind section sound like a single voice? With double reeds, single reeds, and no reeds, it seems like an impossible task. Observe Wintergreen Festival Artist, Aaron Hill, as he discusses with the students of the Composers' Retreat what works and what doesn't for the oboe player and the entire wind section. Dust off your violin, viola, cello, or bass and join the talented Academy Chamber Strings for a morning workshop-reading of string orchestra repertoire. Parts for every level will be available by June 15, 2016. If you don't play, come observe! Free for observers, $10 for players of all ages. Advance registration by participants is required. FULL INFORMATION AND MUSIC HERE! LOCATION CHANGE! Due to extreme hot temperatures, we are moving this event to SKYLINE PAVILION on the mountain. If you are purchasing multiple registrations, you will need to add them to your cart one at a time. There will be a form for you to fill out for each registration. Favorites from 2015: Mozart Divertimento, Mov't 1 - Bartok Rumanian Folk Dances - Mascagni, Intermezzo from Cavalleria Rusticana PLUS - NEW this year: Leroy Anderson's BLUE TANGO and Aaron Copland's HOE DOWN. Our own clarinet player Charlie Messersmith has plenty of orchestral experience. As principal clarinet of the Charleston Symphony Orchestra, he will help our conducting students understand what the woodwind section of the orchestra needs from the conductor. Listen in, and you'll get a new appreciation for the inner-workings of an orchestra! 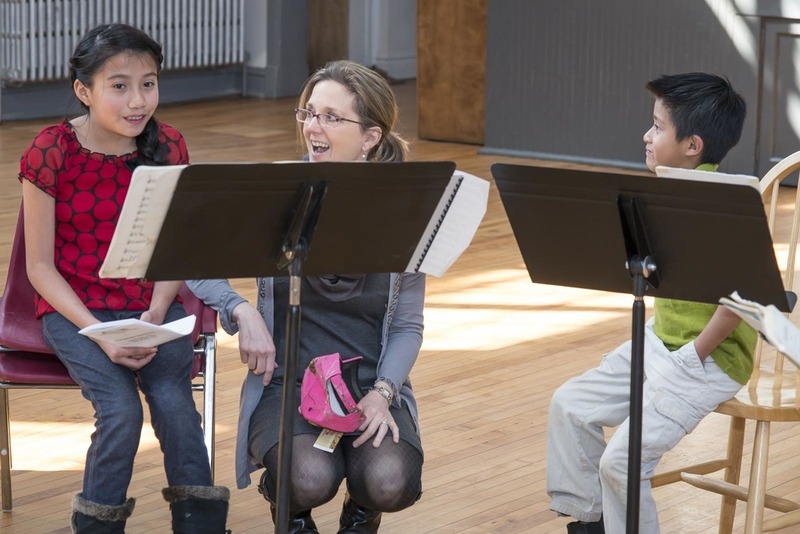 Listen in as our Concertmaster Elisabeth Adkins talks to our conducting students about the most important partnership on stage - that between the conductor and her concertmaster. It's truly a co-leadership relationship, which can be invigorating and complicated! Michael White transitions us into week two with an introduction to the music and world of Papa Haydn. Credited for the invention of the string quartet and the perfection of the symphony, Franz Joseph Haydn was able to make us laugh, cry, and gasp - all in one piece of music. Patrons and community members are invited to sing selections of Handel's Messiah with the Festival Orchestra and Academy Vocal Intensive. 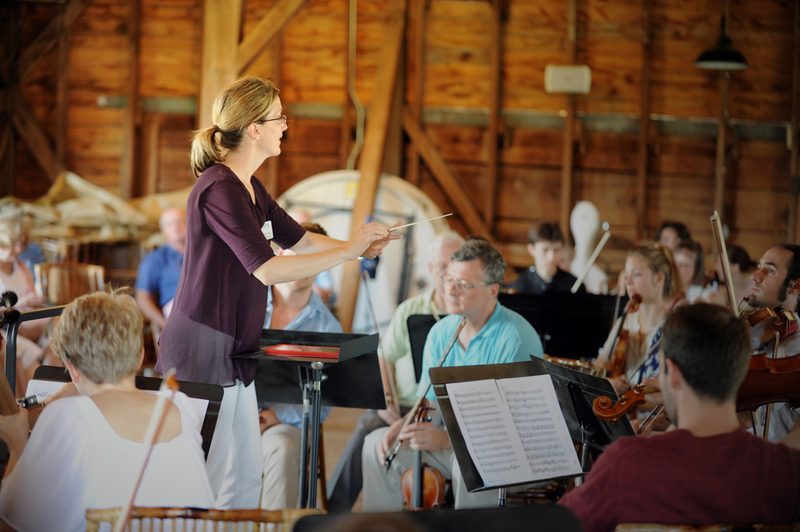 Artistic Director Erin Freeman will also direct two optional rehearsals, and Richmond Symphony Chorus members will support all eager vocalists. Rehearsal is FREE! $5 to borrow a score to Messiah. Did you know that Bach and Handel assumed that their musicians would add their own personal, musical touches to their compositions. Just like in Jazz, performers were expected to improvise, adding ornaments. Listen in as Baroque specialist James Taylor guides our Vocal Intensive students through the ins and outs of ornamentation. Part performance, part class - this is the opportunity to see what a voice audition is like. Come support our Vocal Intensive students as the strut their audition repertoire for a panel of distinguished judges. Test out instruments in the style of an “instrument petting zoo”: draw a bow across a string or blow through a trumpet mouthpiece! This event will provide insight into the inner workings of the Festival music you’ll hear and maybe even spark an interest to start a new instrument adventure of your own. Listen in as members of the US Army Chorus talk to our Vocal Intensive students about living a life of musical service in the military.